Photostockplus has released a new template for Gold members. 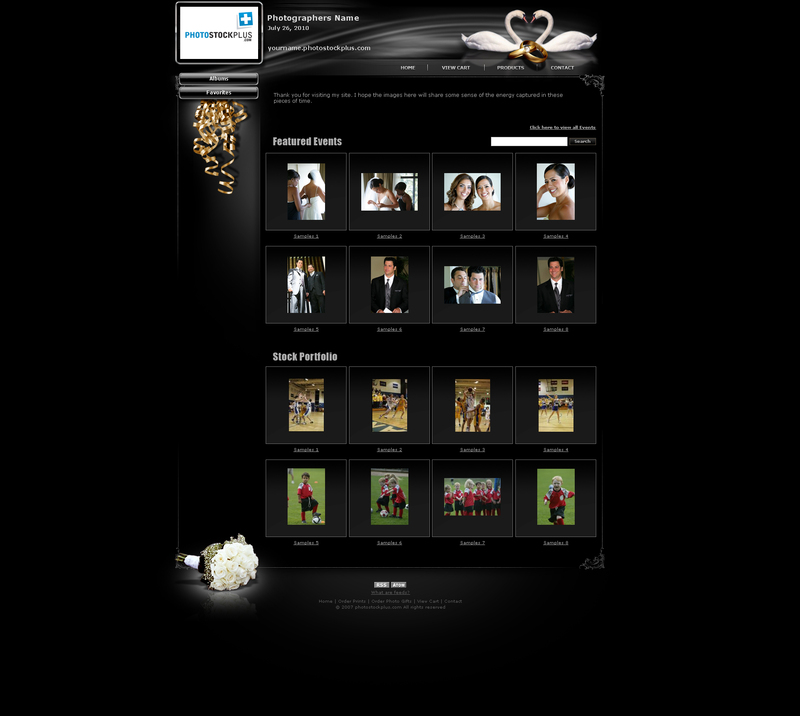 This elegant design will appeal to wedding photographers who are looking to add dynamism to their site. Gold account holders can now choose from 30 additional template designs. To use this template, log into your account, click on “customize website”, then click on “select a store template”. To change the template of a specific event, go to “event albums”, then click on “edit” next to the album and scroll down until you see “Select template”. This entry was posted on Wednesday, August 25th, 2010 at 2:21 pm	and is filed under Blog. You can follow any responses to this entry through the RSS 2.0 feed. You can leave a response, or trackback from your own site.